Shared Lives schemes have bucked the trend in social care provision by growing at a time when other types of service arranged by councils are shrinking, finds a report out today. Umbrella body Shared Lives Plus found that there had been a 14% growth in 2013-14 in the number of people in England using Shared Lives, where families or individuals use their own homes to provide care and support to adults with needs on an ongoing basis, as a short break or as a day service. This compares with a 4% reduction in the number of adults using care and support commissioned by local authorities in England in 2013-14, as recorded by the Health and Social Care Information Centre. This includes a 5% reduction in the overall number of people using community services, such as home care or day centres. But overall Shared Lives represents a small proportion of the care market, with the estimated 10,580 service users accounting for 0.8% of the 1,273,000 people who used council-commissioned care in England in 2013-14. Alongside the growth in the number of service users, there was also a 12% rise in the number of Shared Lives carers and 7% increase in the number of staff working for Shared Lives schemes in 2013-14. The figures have been extrapolated to cover the whole country from a survey of 81 of the 122 Shared Lives schemes in England, carried out by Shared Lives Plus for its The State of Shared Lives in England Report 2015, published today. They have been compared with a previous survey for the charity covering 2012-13; the comparison identified a 9% growth in the number of people receiving long-term Shared Lives care and a doubling in the numbers receiving day support; there was a 6% fall in the numbers receiving Shared Lives short breaks. Local schemes, many of which are still run in-house by councils, approve and train carers and then match them with people who need care and support. Carers are paid to cover rent, bills and some of the time they spend caring. Most Shared Lives service users recorded in the latest survey – 69% – were people with learning disabilities, while 12% had needs associated with older age and 8% had mental health problems. All schemes are regulated by the Care Quality Commission and its latest State of Care report, for 2013-14, showed Shared Lives outperforming all other types of adult social care services, with at least 93% of schemes compliant with each of the five sets of standards measured. There is also evidence that Shared Lives could save local authorities money where it is used as an alternative to residential care for people for whom this was appropriate. Research published by Shared Lives Plus and other organisations in 2013 found that savings of £26,000 per person with learning disabilities and £8,000 per person with mental health problems. 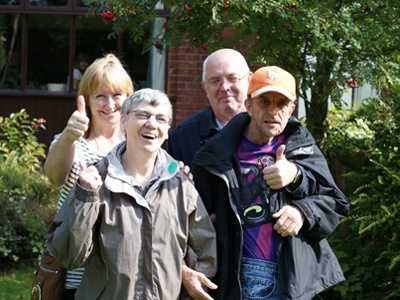 In its latest report, Shared Lives Plus estimated that savings of almost £100m a year could be made if other areas reached the levels of Shared Lives usage in Lancashire, where 9% of adults with learning disabilities are supported in this way.